September | 2014 | Franchising You. Tulsa, Okla., Franchisee Mike Mays has been a part of the TWO MEN AND A TRUCK® family for quite some time. Mike began his career in 2002 as general manager and eventually worked his way up to franchise owner. Initially, he was drawn to the TWO MEN AND A TRUCK® brand because he connected with our Core Values and Mission Statement. After years of working in the moving business, Mike saw the opportunity that came with being a franchisee and knew he wanted to follow that career path. He set out to learn everything he could about the brand and what it took to open his own TWO MEN AND A TRUCK® franchise. For Mike, there was no key or overriding factor which influenced him to stay with TWO MEN AND A TRUCK®. 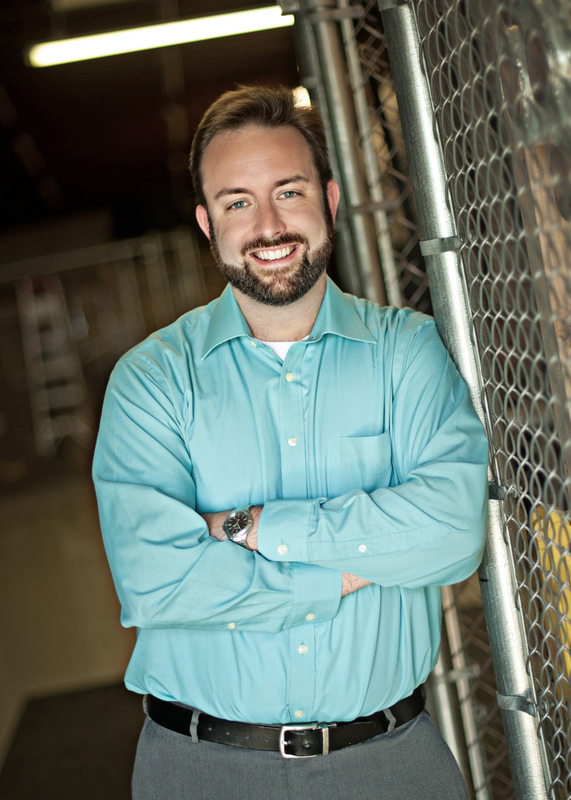 After experiencing success firsthand, Mike knew instantly he wanted to continue his career with this iconic company. Starting off as general manager, Mike had five percent ownership at the Tulsa franchise, and, after his first eight months, that percentage grew to 49 percent. Today he is currently the majority owner. Part of Mike’s decision to join the company as a franchise owner was the tremendous growth the Tulsa location enjoyed in its first few years of operation. The very first year the location made over $800,000 in gross revenue. The second year revenue grew by an astounding 147%, and this year they expect to achieve 30% revenue growth to achieve total revenue over $5 million. After experiencing this astounding growth and success, Mike knew this was a company he would like to remain a part of for a very long time. 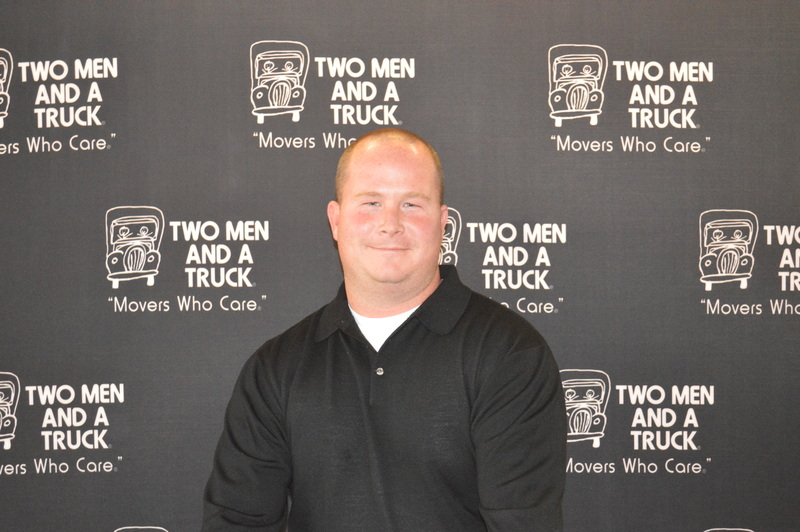 After that initial rapid growth, Mike knew TWO MEN AND A TRUCK® would be a company he would stick with for a long time. Running a successful franchise requires hard work and dedication to the brand. Mike believes teamwork is important when operating a successful franchise. When business is booming, growth is inevitable for a franchise like Mike’s. In the next five years, Mike would like to see his franchise occupying their own real estate—a dream already in the works. He also strives for his location to be one of the top franchises within the system, to operate 30 trucks in Tulsa, and to add two or three locations which reach $15 to $20 million in sales. Do you have the ambition and drive to be your own boss? Starting a franchise business is not something to be taken lightly, but it’s a calculated risk which can truly pay off in the end. Franchising is a great way to reduce threat of failure while increasing your odds of succeeding in the business world. However, just because you bought into a franchise model doesn’t mean you get to go on permanent vacation. You still need to put in the effort to execute a proven business model in order to be successful. So how do you ensure you optimize your business and succeed? I’m glad you asked! Before selecting a franchise, research the pros and cons of the different franchise models out there and find franchise systems which interest you. There are numerous brands to consider, so find one that fits your interests and aligns with your personal Core Values, so you can believe in the business and enjoy the work while making money. Once you have the list narrowed down, it’s important to dig a bit deeper and see how the franchisor supports their franchises. Do they have dedicated training and development, marketing, human resources, and sales teams as well as business consultants to help you along the way? What do their reporting dashboards look like relative to depth, benchmarks, and system transparency? What tools by way of programs, platforms, and training can be leveraged? Ask for franchisee contact information and ask them about the pros and cons of the business along with the state of their partnership with their franchisor. Verify the ways the franchisor demonstrates a commitment to continually investing into the business to help their franchises grow. It’s also important to ascertain the kind of marketing programs and ROI-enhancing lead generation strategies the franchisor offer to assist your business not only once you’ve opened your doors but beforehand to promote the new franchise. Our teams at the TWO MEN AND A TRUCK® Home Office are dedicated to help our franchises thrive in their marketing areas. Startup franchises: We have a First Gear team whose sole purpose is to work with new franchises 12 weeks out from their opening date to ensure they are prepared in every area of the business. But it doesn’t end there! They will continue to work with the franchise for the first full year; this is called the Second Gear process. If a franchise is struggling, the team will help them develop a plan to overcome each challenge. Our training and development team is there the help franchises get their teams ready to go opening day by designing and delivering training programs for all levels of the TWO MEN AND A TRUCK® system. Our team also supports all employees in the system through STICK MEN UNIVERSITY®, offering instructor-led training, online training, and career development programs. Additionally, reporting dashboards and metrics are transparent and multi-faceted, providing visibility about performance by franchise, operating unit, or system-wide, and each department is dedicated to help franchises along the way. Mature franchises: Once a franchise has become established, our franchise business consultants work with the franchises on a regular basis to ensure they continue to grow, hit their goals, and become profitable. Our consultants do regular onsite field visits so they can interact with the specific location in order to help the franchise with business opportunities through system best practices that ultimately lead to profitability. What these visits also allow for is the opportunity for the consultants to glean new ideas from the field and identify emerging best practices they can share with the rest of the system – a huge benefit of the franchise model. When you’ve selected your franchise, immerse yourself in the processes and tools the franchisor has created and engage yourself with the partnership. Invest in your organizational structure to ensure you have enough people to capture the business effectively. Equip yourself based on two potential outcomes: (1) Customer volume is slower than anticipated; and (2) Customer volume is more than anticipated. In the business world, it’s vital to be focused but still remain flexible. To accomplish this, have a fully implementable business plan, and constantly refer and adjust it on both a monthly and quarterly basis. At TWO MEN AND A TRUCK®, the most successful franchises who stand out from the rest have a business plan and a budget they refer to on a consistent basis. If a tactic is successful, they know why. The same goes if something falters or fails. They take notice quickly and work to address it. We cannot stress how eminent it is to have a business strategy and work to execute it in order to achieve the goals and the vision set by the franchisee. Growing and developing your team is significant to achieving business success. Your frontline staff are the team members who interact with customers on a daily basis. Make sure they not only know how to do their job but love it as well. Promoting a positive work culture, establishing employee incentive plans, creating a pleasant work space, as well as providing up-to-date equipment are key ingredients to guiding employees toward job success. Also, giving them defined job descriptions and expectations, setting obtainable goals, and mixing in stretch goals will also help drive your business and its potential for growth. Another critical component to employee retention is showing them a possible career path within your organization. This will give them a clear picture of their future career so they envision sticking with you long-term. Meet with your team on a regular basis. This is a critical time to review what they are doing well, any areas of opportunity, hurdles they may be experiencing and then discuss how can you can overcome them together. Open communication with your team gives you fresh a perspective of your business from the frontline view. There are many tools and resources continually being developed by the TWO MEN AND A TRUCK® human resources department to help franchises not only find quality employees but retain them by creating a positive work environment. For information on starting your own TWO MEN AND A TRUCK® franchise location and to access performance information which is available to prospective owners, click here. 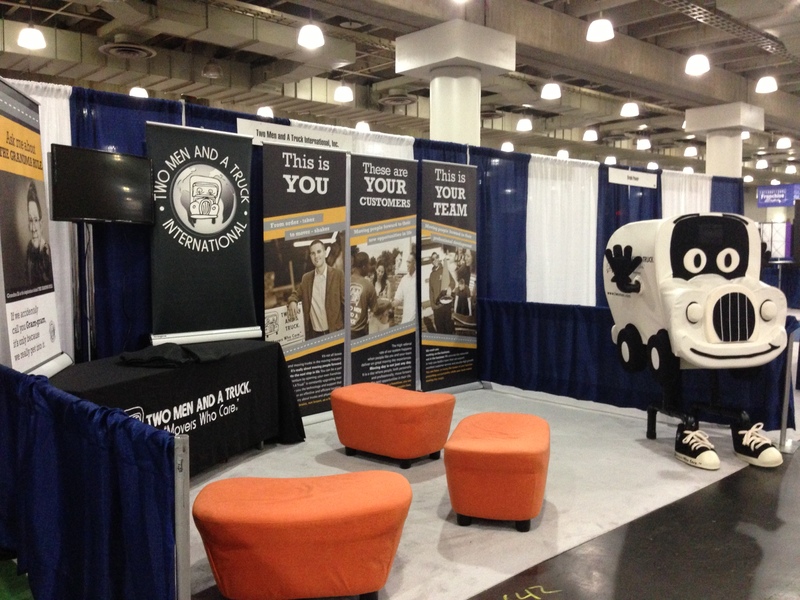 Are you considering purchasing your own franchise business? Franchising can certainly be rewarding, both personally and financially – even more so if you know in advance the key employees you’ll need to hire to set yourself up for short-term and long-term success. When starting your business, many personnel positions are obvious first priorities. You’ll definitely need frontline employees who interface directly with customers – which means cashiers for a retail store, waitresses for a restaurant, or movers and drivers for a moving company. General or operations managers are also evident priorities; these are the individuals who oversee daily operations and their roles are absolutely critical to your success. Hiring a marketing manager is typically a lower priority on the franchisee’s to-do list. This position is typically thought of as a “someday” hire – someday when business is good, someday when revenue is flowing, or someday when the business is large enough to warrant employing a full-time marketing manager. Logical thinking, right? Think again. You may think it’s counterintuitive to spend a sizeable marketing manager salary when your business is just starting out and revenue is still a bit erratic– but this is actually when you need a marketing professional most. The fact is many operators can save themselves a heavy dose of headaches and ensure much better and faster brand awareness and lead generation (thus revenue) by hiring a marketing manager sooner rather than later. Marketing managers solve the essential question, “What is happening outside of my building?” It’s the job of the operations team and management staff to see everything in the building and ensure the daily operations – employee scheduling, customer service issues, truck maintenance, and safety– run smoothly. Typically, especially during busy periods, that means marketing planning and execution gets pushed to the back burner again and again, to be handled when some free time finally becomes available. However, the fact is that in a thriving TWO MEN AND A TRUCK® franchise, free time is rare, and marketing is far too important to set aside until there’s free time. Marketing is an essential function of franchise operation, possibly one of the MOST important functions; after all, marketing drives customers and customers drive revenue. And what’s more important than driving revenue? A marketing manager will ensure your brand quickly establishes a local presence via networking events, grassroots marketing efforts, referral relationship building, and executing effective awareness advertising campaigns to increase brand awareness. Unlike a general manager who is challenged with juggling urgent operations, personnel, and customer service issues, a dedicated marketing manager can truly focus on promoting the brand. This includes focusing on building relationships within the community via cause marketing efforts, charity events, brand presence at popular hyper-local events such as fairs, festivals and parades, regular visits to potential referral sources, and presence at major local trade shows. TWO MEN AND A TRUCK® has seen a recent system-wide increased focus on hiring marketing managers and coordinators. Currently nearly one-third of U.S. locations employ a marketing manager, coordinator, or sales and marketing manager. Dozens more employ marketing interns either as temporary summer positions or year-round. Some franchise operators were unsure where to even start when hiring a marketing manager, but the Home Office marketing team will assist in everything from creating a job description, phone-interviewing candidates, and creating a fair compensation plan for your region of the country. Good luck in your search for the perfect franchise to suit your interests, skills, and background. We hope you’ll consider TWO MEN AND A TRUCK®. 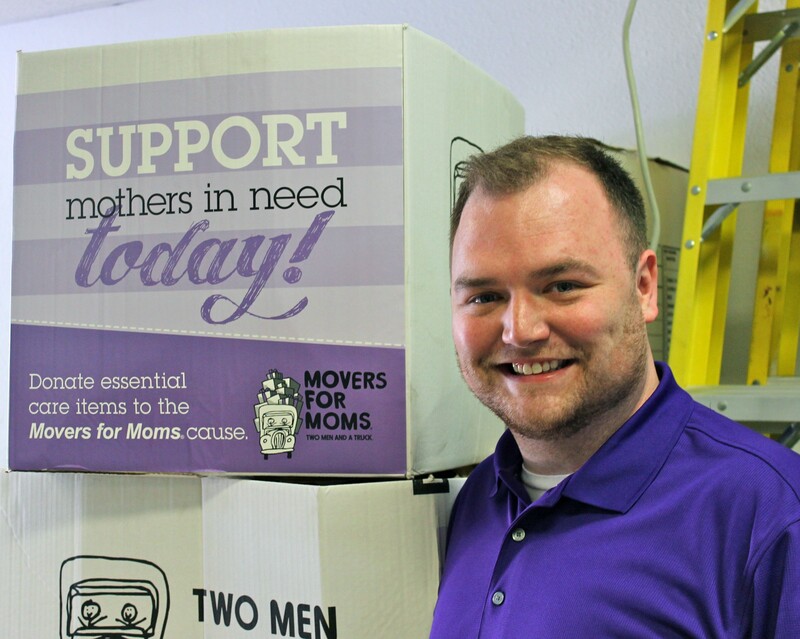 With 56 consecutive months of growth and still plenty of opportunity in high-potential markets, the Movers Who Care® could be the perfect franchise future for you!